21st June 2017, four of N.Irelands top junior mountain runners departed for Gagliano Del Capo, Italy, for the 12th edition of the World Mountain Running Association’s International Running Youth Cup. 16 Countries have sent teams, including for the first time teams from USA. Leading the 4 man NIMRA Team is Tony McCambridge (St Malachy’s AC) fresh from his individual 4th place and team bronze at the Junior Inter Counties Fell running championships. Mountain running is new to Tony, but he has excelled at it in a similar way to his other running disciplines of XC and track. 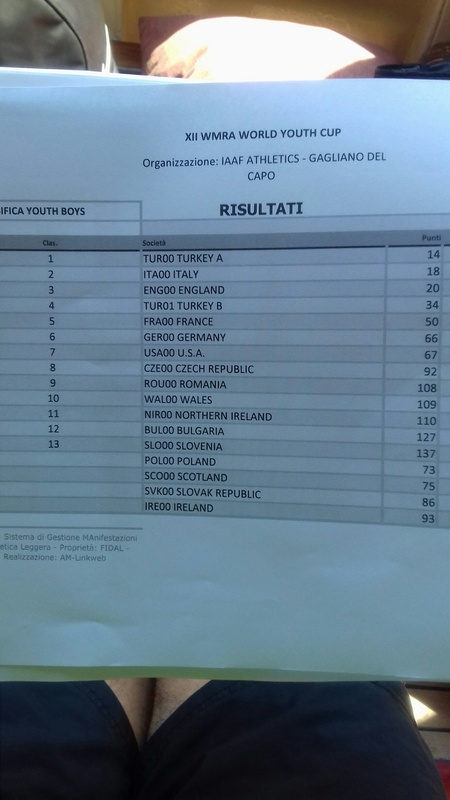 It was in 3000m track Ulster schools that Tony placed 2nd behind Jack O’Farrell, who himself is a previous Junior Mountain running International. 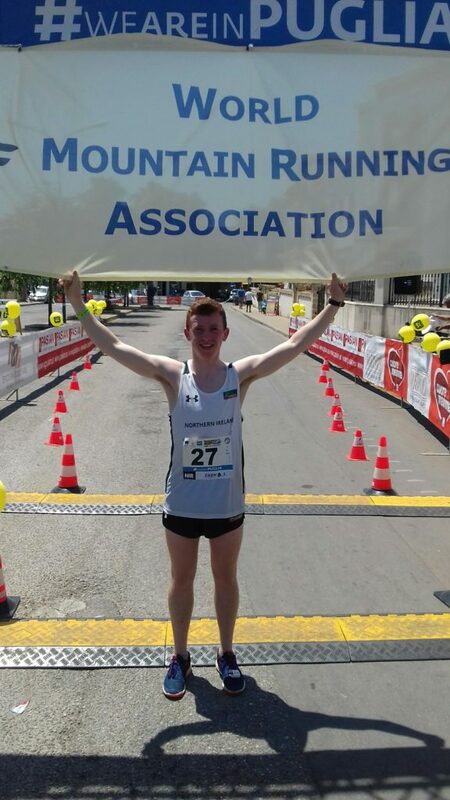 Tony is joined by another St Malachys runner, but of St Malachys Castlewellan, Brendan McKey. 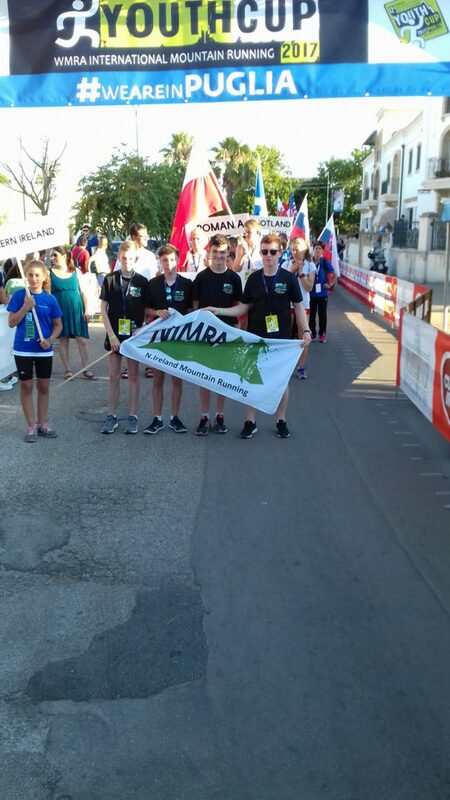 Brendan had narrowly missed out on a place on the 2016 team placing 7th and 6th in the NIMRA and IMRA trials respectively, but got a last minute callup on Saturday when Andrew Hagan was forced to withdraw from the team with clashing track commitments. Boys School XC is regularly dominated by excellent teams from St Colman’s Newry, this year was no different with Violet Hill achieving Silver in the Irish Schools Championship back in March. 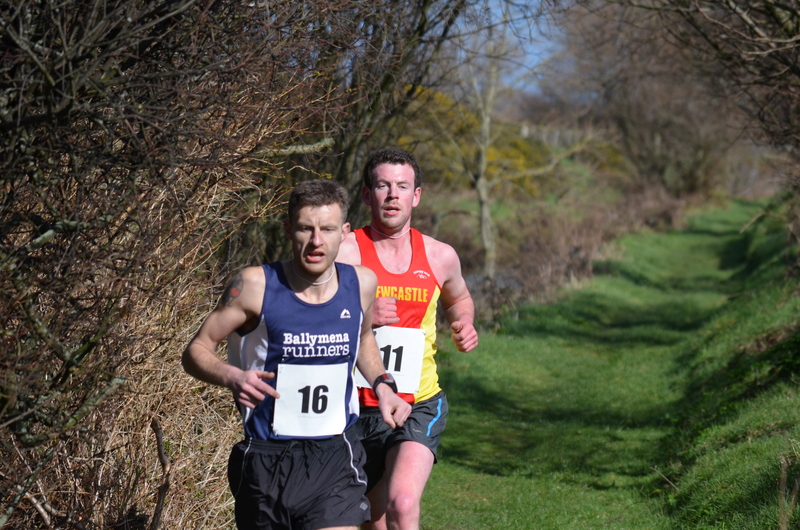 So it was no surprise when two of its XC stars excelled at the Mountain Running trial in Newcastle on the 9th April. 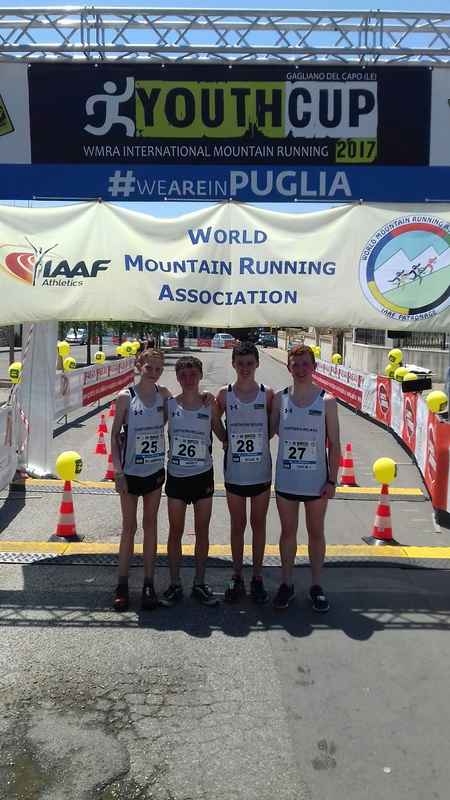 Both Tom Magee and Miceal McCaul put in strong performances at the trial and in advance of travelling it was anticipated that the rolling looped course in Italy will suit them even better. 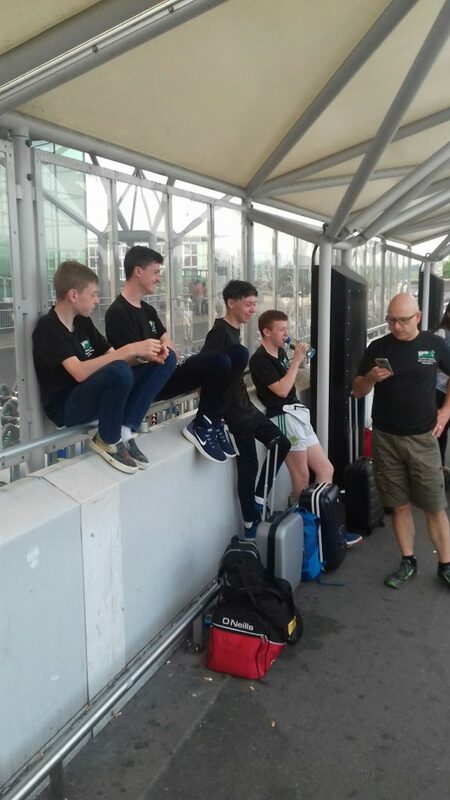 The team arrived in Italy to be greeted by the 30 degree heat that they would become used to, though by race day, this had risen to 32-34 degrees! 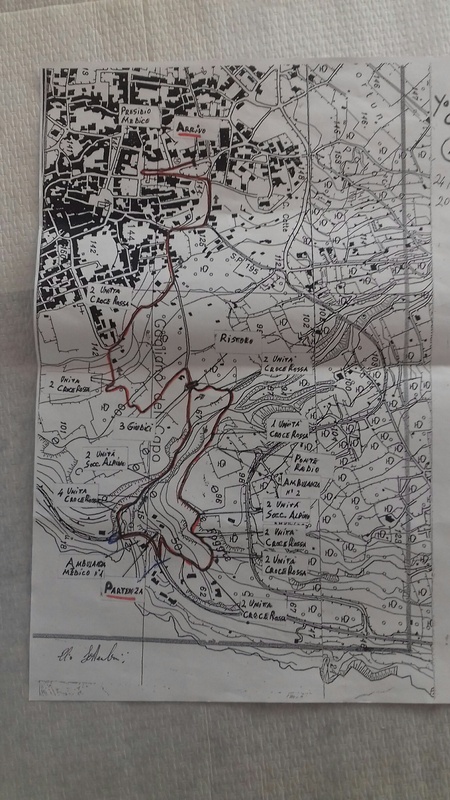 After the dramas of 2016 and the lack of water on the course, efforts were made to clarify the race rules and ensure NIMRA management had water a plenty on the course. The race started at the foot of a limestone gorge on the coast where the Adriatic meets the Ionian Sea. It crossed a bridge spanning the small sea inlet, heading sharply up a series of steep steps that form the beginning of a narrow, rocky trail which follows the sides of the gorge. 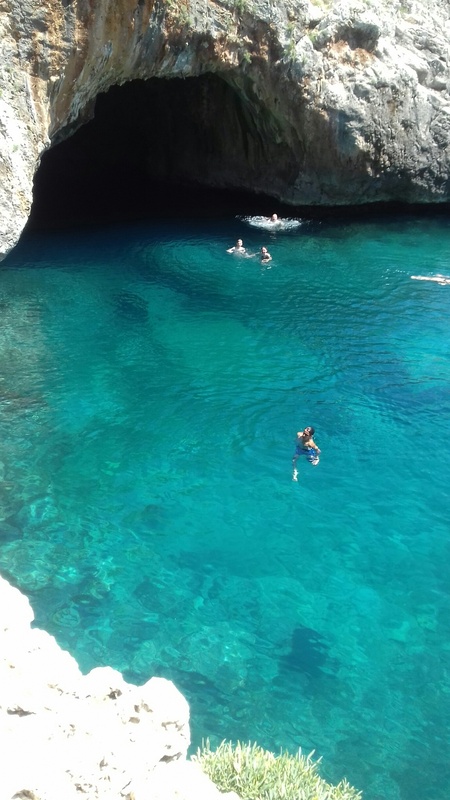 The NIMRA Team had managed to recce this route three times in the days proceeding the race and had availed of the pool jumping in the sea below as their recovery! – hard life this International duty! 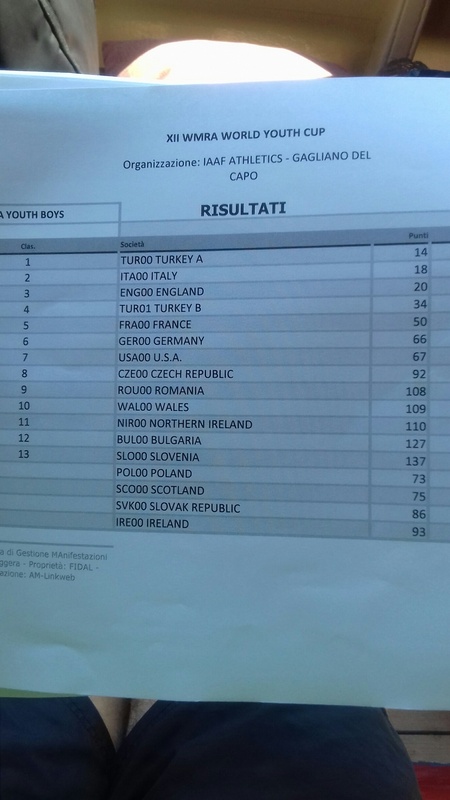 Race day dawned and prior to the delayed start, the boys draped damp towels round their necks and poured water over their heads in a vain attempt to stay cool, while the Turkish team warmed up in tracksuit bottoms without producing a bead of sweat! The race went of a furious pace, that would put a 5km road race to shame, all in an attempt to make the start of the singletrack after 300m. The NIMRA Team came to this first corner quite close together, sitting comfortably in the second half of the field. The course consisted of a short 1km loop of the gorge before returning to the bridge for loop 2. Half way round the third loop, the course deviated up hill towards the town and the finish in the square. Lap one saw Tony lead the way with Tom two places behind. Brendan and Miceal had sussed some great lines for the descent and the plan was to use this to make up ground on those in front. Miceal was able to use this to great effect making up more than 10 places before crossing the bridge for the second time. Lap two and Tony continued to run strongly with Miceal passing Tom to be within 20m of Tony. As they approached the final section of the course and last water stop, Miceal had moved in front of Tony who was only meters behind. Tom continued to run steadily, though the heat was really getting to him and Brendan, who shouted to the assembled spectators that the water was warmer when a bucket was thrown over his retreating back. In the private battle that Miceal and Tony were waging in the closing stages, they were to gain valuable places in the process, with Tony getting the better of Miceal by 6 seconds having made his move on the streets of Gagliano del Capo. 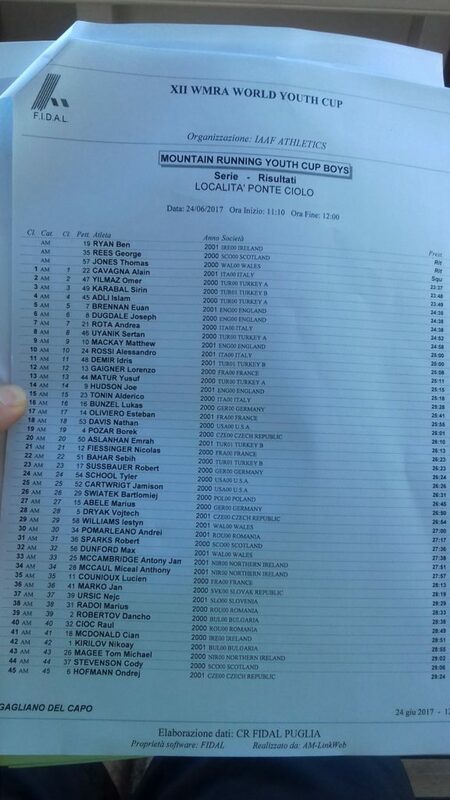 This earned Tony 33rd with Miceal in 34th – 39th being the highest position for a N.Ireland runner previously! 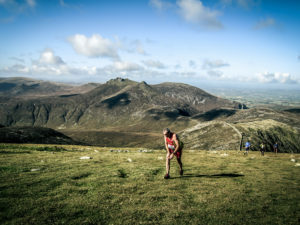 By the time Tom arrived at the line the heat had caused him to become disorientated, though he was able to finish unlike the lead runner from IMRA for whom the heat became too much. Tom, the 3rd scorer for the team came 43rd. 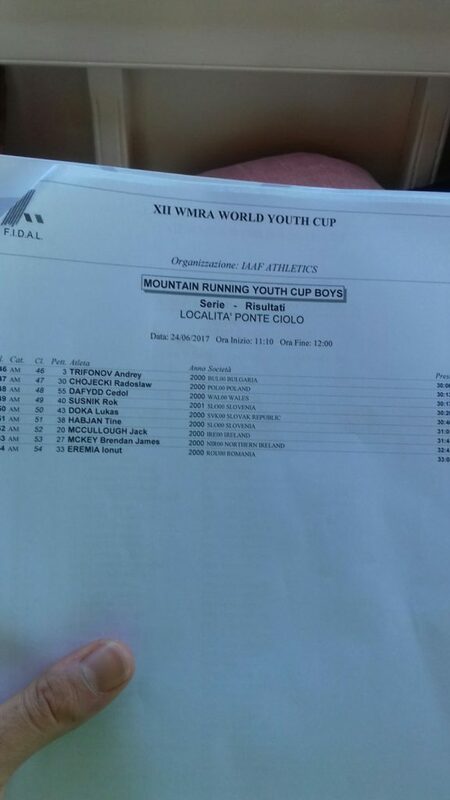 Brendan was able to run strongly through the streets having already passed the runners who had succumbed to the heat in the short race, finishing 53rd from 57 starters – not bad for a last minute call-up to a WMRA World Cup, with no time for any specific training! 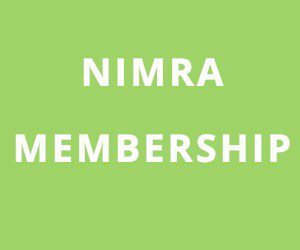 NIMRA finished only one point behind Wales with 110 points finishing 11th team out of 17 – an excellent result, improving 4 places from 2017 where NIMRA had placed 15th from 17 teams! 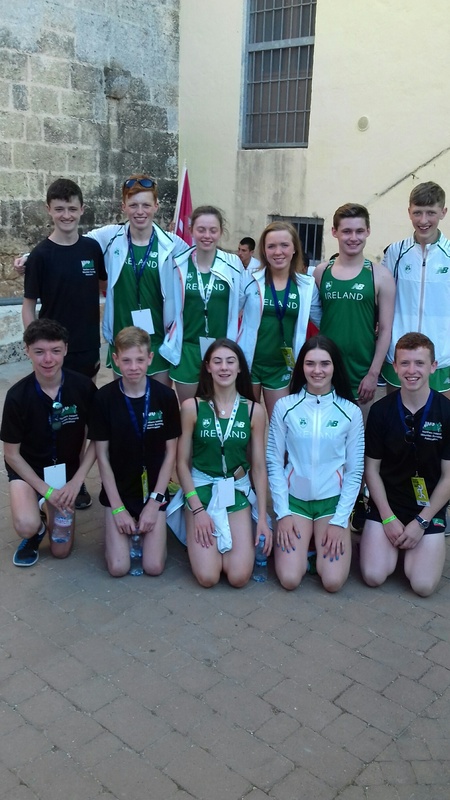 We were latter to discovered that not only the English hold training camps, but the Turkish took their squads to an altitude camp prior to the event – now there is an idea for Athletics N.I. !!! !